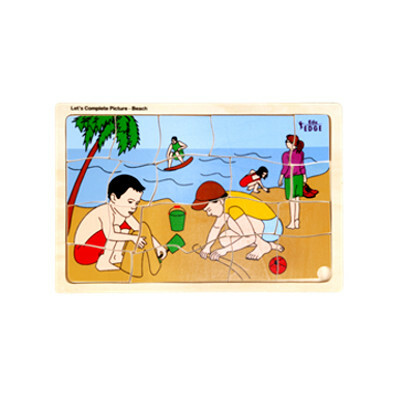 Description: This Puzzle is made from white plywood, printed with non toxic ink. Solving this puzzle enhances finger muscles, observation, and problem solving ability, eye hand co-ordination, and concentration, confidence and environment awareness. Picture of beach adds scope of picture talk, improving vocabulary.